A tank battery caught fire in Caldwell County early Saturday morning. 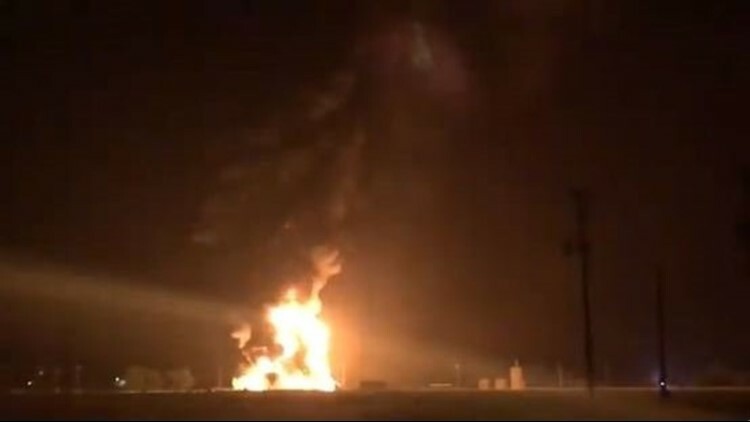 Caldwell County Emergency Management tweeted a video of the fire around 3 a.m. It happened on FM1322 near Burdette Wells Road. Officials with the Caldwell County Sheriff's Department said they believe lightning hit the tank, and there were reports of explosions. According to @CCTXOEM, no injuries were reported. The 4-alarm fire took three hours to get under control.